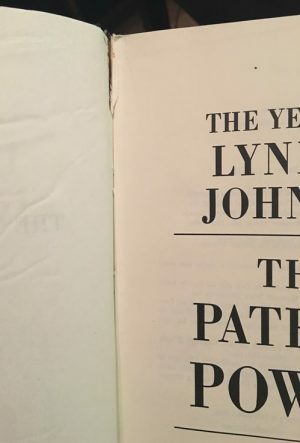 Comments: Some spots of pages. 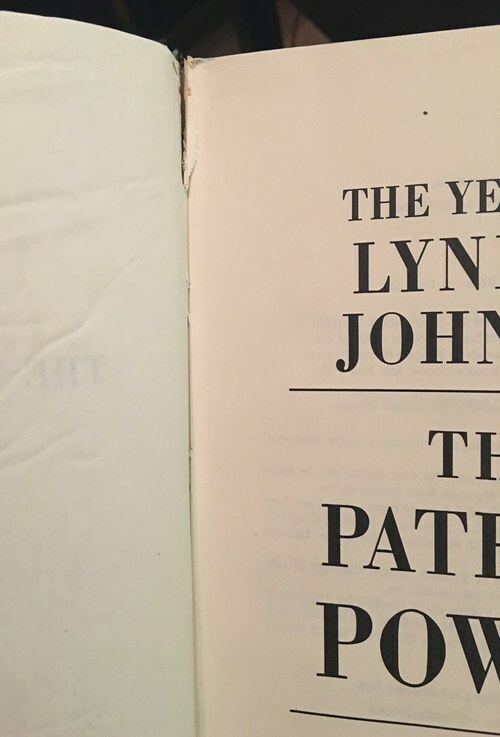 D-j has shelf wear. Synopsis: This is the story of the rise to national power of a desperately poor young man from the Texas Hill Country. 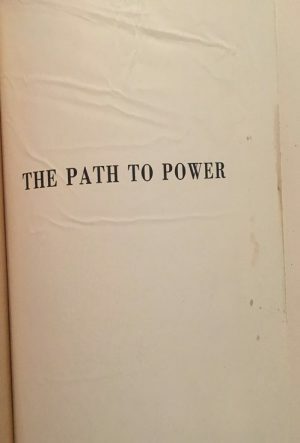 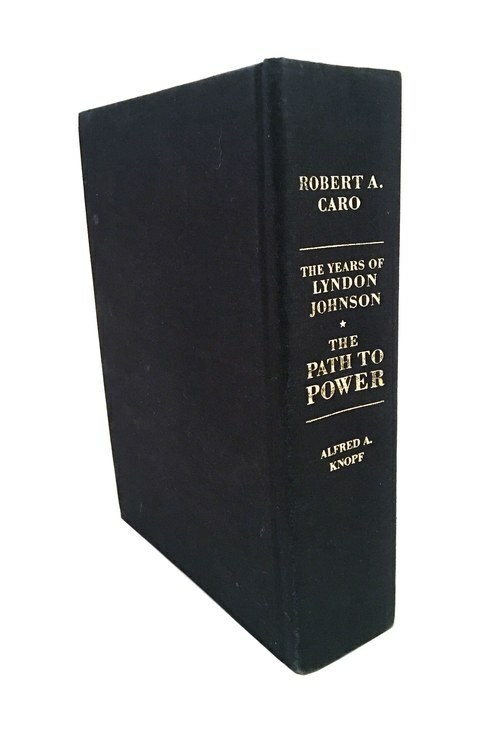 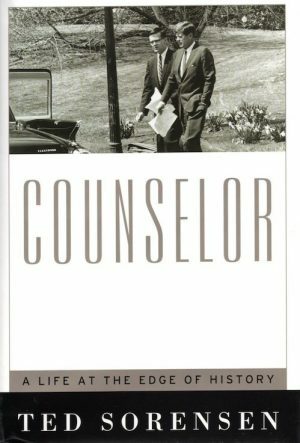 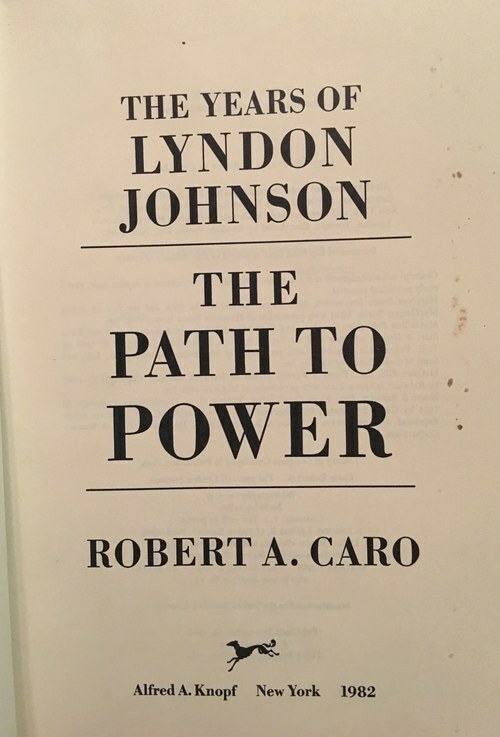 The Path to Power reveals in extraordinary detail the genesis of the almost superhuman drive, energy, and ambition that set LBJ apart. It follows him from the Hill Country to New Deal Washington, from his boyhood through the years of the Depression to his debut as Congressman, his heartbreaking defeat in his first race for the Senate, and his attainment, nonetheless, at age 31, of the national power for which he hungered. 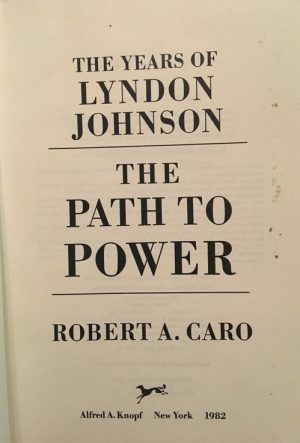 In this book, we are brought as close as we have ever been to a true perception of political genius and the American political process. 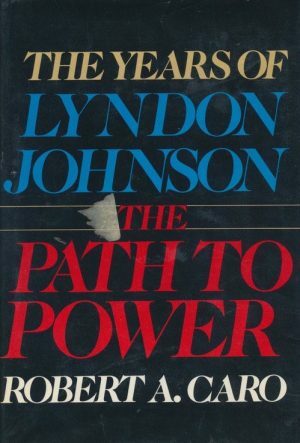 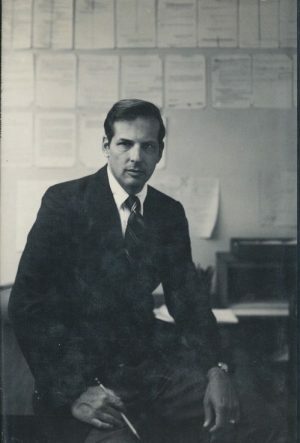 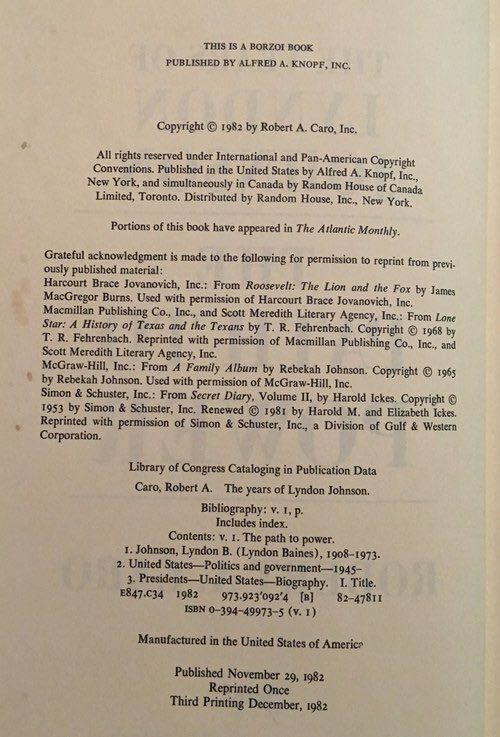 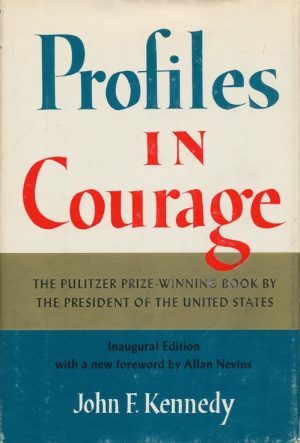 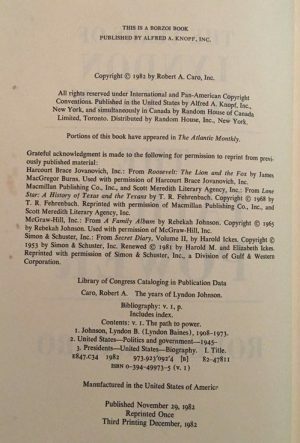 Means of Ascent, Book Two of The Years of Lyndon Johnson, was a number one national best seller and, like The Path to Power, received the National Book Critics Circle Award. 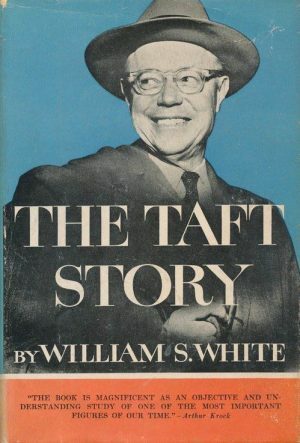 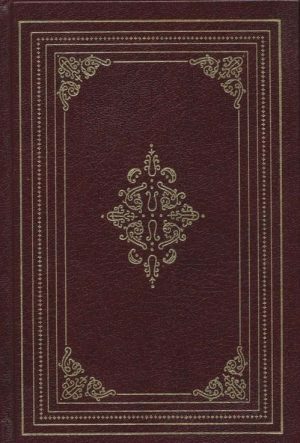 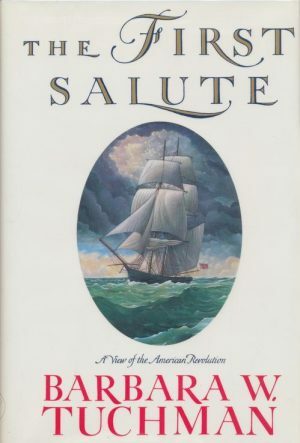 The Taft Story – White, William S.
The First Salute – Tuchman, Barbara W.